I'm always looking for ways to use items we already have in a new way. I love do-a-dot pages and you can use them in so many different ways instead of just the markers. So I created these DIY button and bead magnets that you can use for any hands-on activity. They work really well with the do-a-dot marker pages too! I purchased some adhesive magnet circles for this activity from Amazon. Since they are magnets, I wanted to make sure they would not come off the backs of the buttons or beads. I decided to use hot glue to make sure they did not go anywhere. Simply heat up your hot glue gun, place some hot glue on the adhesive side of the magnet and place on the back of your buttons or glass beads. Let them dry completely before using them, this doesn't take more than a few minutes. 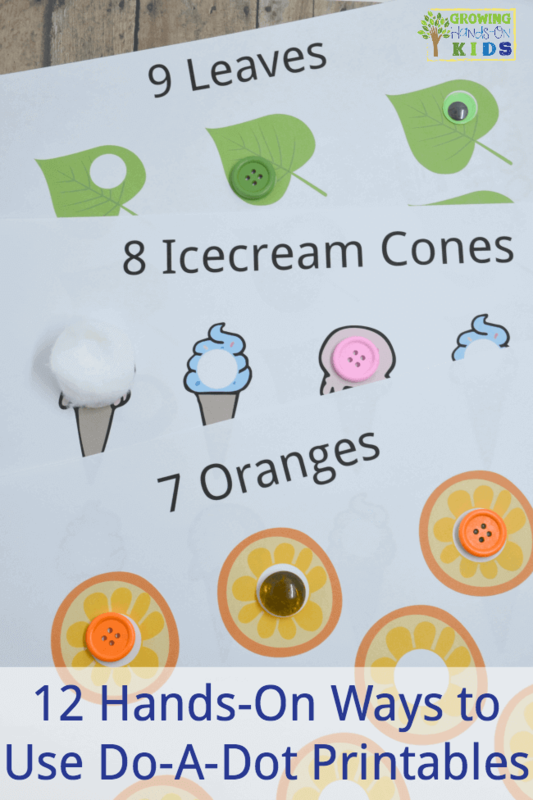 You can use these buttons and glass beads for any fine motor work with worksheets that have black dots for learning activities on a magnetic surface. My favorite way to use them is with connect-the-dot pages or do-a-dot pages. For added shoulder strengthening work, you can use these are a vertical magnet surface such as your refrigerator or magnet board. For this picture, I used our magnet dry erase board from Fundanoodle and some of the I Can Pound sheets. You can get a lot more use out of your worksheets this way. Plus it makes great busy bag type activities while you cook dinner or while in the car on a trip. These are small, so make sure you use them with older children who won't put things in their mouths and always supervise. Want more activity suggestions like this one? Check out my resources below.